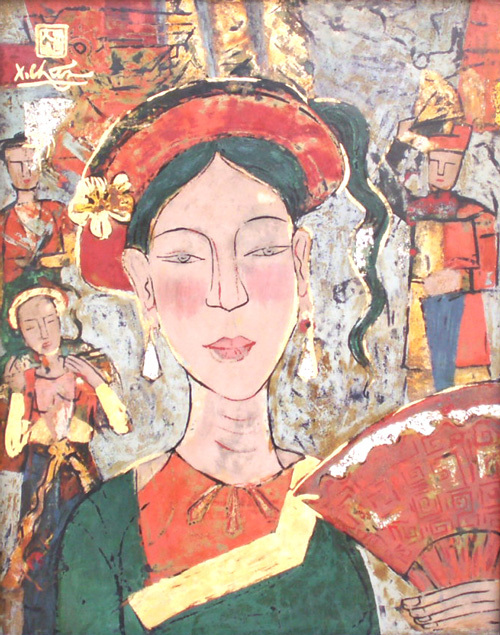 With dozen of prizes and awards at the topics, materials, various regions, the painter is a person who covers widely painting lifein Vietnam.That is one advantage of an insturctor of fine art. he was well familiar with favorable topic of Buddism mind to life of hihland peoples,antique streets with graceful dress to abstract hard - to - understand . 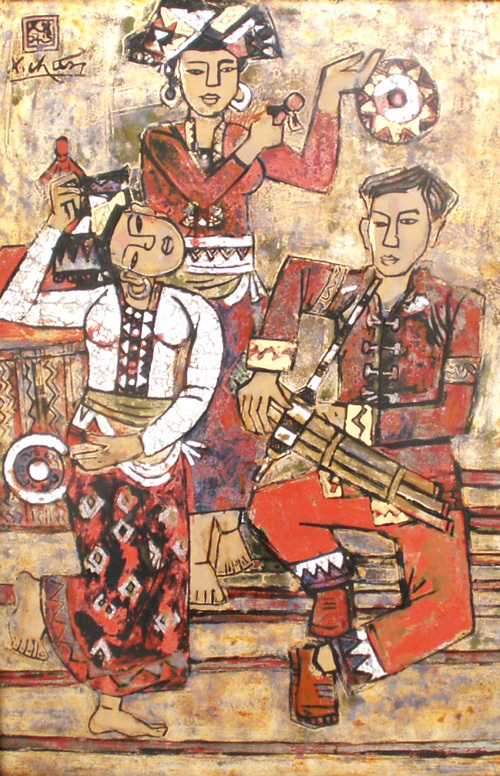 The painter well aware of material in wood carving , lacquer and oil painting . The road of painting of Xuan Chieu began from simple description or rural life that is peaceful or active on State Work Place . And it radiates on many ways . The color at time serene and moderate at lacquer , at times bring as in festival of wood carving . The space is at times flat traditionally , at times accumulate in abstract painting with various decorations , at time simple near and clearly and at times half real half abstract . That combination is one character : a nice bright face , a part of body that is sensuous , a few details of wear that is stylish , attractive pink plastic sandals here and there behind the parts of color, the brightness , the cutting and waving element symbolizing colors forms traditional cultural symbols . Such times he was most successful . The road of painting is continuing , where to is expectation of painter .